Without exception, my time spent as a fishing and hunting guide in South Dakota has provided my clients and me with experiences and memories to last a life-time. 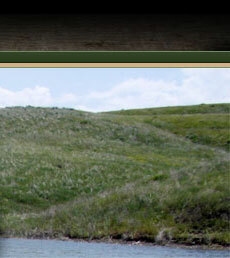 South Dakota has some of the finest fishing waters in North America. Approximately 30 fish species provide anglers with a variety of fishing adventures. The most popular fish include walleye, smallmouth bass and white bass, northern pike & perch. South Dakota’s fishing season is open year-round providing quality, four season fishing. Most anglers agree that Lake Oahe in Pierre, South Dakota is the best walleye fishing in the country. Lake Oahe stretches for 271 miles from Oahe Dam to Bismarck, ND. This deep, clear, fresh water lake has a maximum depth of 205 feet. As such, it provides excellent boating & fishing. The spring bite on Lake Oahe starts typically in late March. Because of the lake’s size, depth and possibility of strong winds, it is recommended that boats be at least 18-foot deep “V” hull with a minimum 150 horsepower outboard. As a licensed U.S. Coast Guard Master Captain, and the captain of a 21-foot walleye boat, I can assure you that your safety is of utmost concern to me. Attention to detail at Major League Adventures is top priority. Book now for the experience of a lifetime. Thank you to those that have fished with me. I look forward to fishing with you again. Make sure to book early as you know prime dates go quickly.